In the previous lesson, we learned how to quote a relative clause by encasing it with 「と」. This allowed us to talk about things that people have said, heard, thought, and more. We also took a look at some examples sentences that used 「と」 and 「言う」 to describe how to say something in Japanese and even what to call oneself. In this section, we will learn that with 「と」, we can use 「いう」 in a similar fashion to define, describe, and generally just talk about the thing itself. We’ll also see how to do the same thing with the casual 「って」 version we first learned about in the last lesson. In the last lesson, we briefly looked at how to introduce ourselves by using 「と」 and 「いう」. For instance, we had the following example, which Alice used to introduce herself. This sentence pattern is probably one of the first things beginner Japanese students learn in the classroom. In this case, the verb 「いう」 doesn’t mean that somebody actually said something. Rather, Alice is saying that people in general say “Alice” when referring to her. While using kanji for 「いう」 is perfectly acceptable, in this case, since nothing is actually being said, using hiragana is also common. This idea of describing what a person is known or referred to as can also be extended to objects and places. We can essentially define and identify anything we want by using 「という」 in this manner. As you can imagine, this is particularly useful for us because it allows us to ask what things are called in Japanese and for the definition of words we don’t know yet. What is this fish referred to as? This fish is known as “Tai“. Do you know where the department store called “Lumine” is? The meaning of “tomodachi” in English is “friend”. We learned how to use 「という」 to describe what something is known or referred to as. However, we can take this idea even further by attaching two relative clauses. At this point, 「いう」 is so abstract that it doesn’t even really have a meaning. 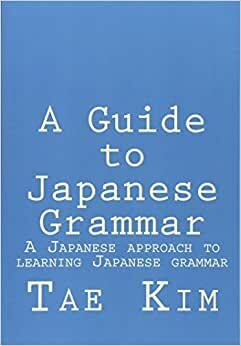 When a relative clause is encapsulated with 「と」, you must have a verb to go along with it and 「いう」 is simply being used as a generic verb to enable us to talk about any relative clause. This allows us to describe and explain just about anything ranging from a single word to complete sentences. As you can imagine, this construction is quite useful and employed quite often in Japanese. The most interesting thing was that the main character was the criminal. Is it true that Japanese people are weak to alcohol? It was a lie that you were single? Reboot means to restart your computer. We can abstract it even further by replacing the relative clause with a generic way of doing something. In this case, we use 「こう」、「そう」、「ああ」、and 「どう」, which when combined with 「いう」 means “this way, “that way”, “that way (far away in an abstract sense)” and “what way” respectively. It’s because you always come at times like these that I’m troubled. (Anybody would) dislike doing work together with that type of person, huh? I think you can become happy if you could marry that type of person. We can attach the question marker 「か」 to 「という」 in order to add a questioning element. This construction is used when you want to rephrase or redefine something such as the following dialogue. A: Miki-chan is your girlfriend, right? This construction is used all the time, particularly in casual conversations. It can be used to correct something, come to a different conclusion, or even as an interjection. I like alcohol or rather, can’t live on without it. Don’t think I’ll go. Or rather, can’t because there’s no money. Rather than that, I have to go home already. Rather than using 「か」 to rephrase a conclusion, we can also simply use 「こと」 to sum up something without rephrasing anything. A: I heard that Miki-chan broke up with Yousuke. B: Does that mean Miki-chan doesn’t have a boyfriend now? A: That’s right. That’s what it means. As mentioned in the previous lesson, 「って」 is very often used in causal slang in place of 「と」, because it allows us to leave out the rest of the sentence and assume context (or just plain assumption) will take care of the rest. We already saw that we can use 「って」 to replace 「という」 as well. However, since we just learned how to use 「という」 to do much more than just simply say something, there is a limit to just how much you can leave out. In any case, 「って」 will allow us to leave out not only 「いう」 but also any accompanying particles as you can see in the following example. The studying abroad next year thing, is that Tomoko? 「だって」 is also another phrase that leaves out just about everything. By convention, it is used to express disagreement or dissatisfaction usually to whine, complain, or to make an excuse but you can’t tell what it means just from looking at it. It is an abbreviation of something along the lines of 「とはいっても」 meaning, “even if that was the case”. A: Have to do it, you know. B: But (even so), can’t do it because there is no time. A: Don’t have to go, you know. B: But (even so), everybody said they’re going. I have to go too. In some cases, the small 「つ」 is left out and just 「て」 is used instead of 「って」. This is done (as is usually the case for slang) in order to make things easier to say. In general, this is when there is nothing before the 「て」 or when the sound that comes before it doesn’t require the explicit separation the 「っ」 gives us in order to be understood. Does that mean Miki-chan doesn’t have a boyfriend now? Since slang tends to be used in whichever way the person feels like, there are no definite rules defining whether you should use 「って」 or 「て」. However, 「て」 is generally not used to express what people have actually said or heard, which is why it wasn’t covered in the last lesson. Miki-chan says she isn’t coming tomorrow. Because the 「という」construction is used so often, there are a lot of different variations and slang based on it. While I do not plan on covering all of them here, you can check out casual patterns and slang in the miscellaneous section for yet even more slang derived from 「という」. The last thing I’m am going to briefly mention here is the use of 「ゆう」 instead of 「いう」. In conversations, it is quite normal to say 「ゆう」 instead of 「いう」. 「ゆう」 is easier to say because it is simply one letter with a long vowel sound instead of the two different vowel sounds of 「いう」. I said it’s not like that (lit: it’s not that type of thing)!